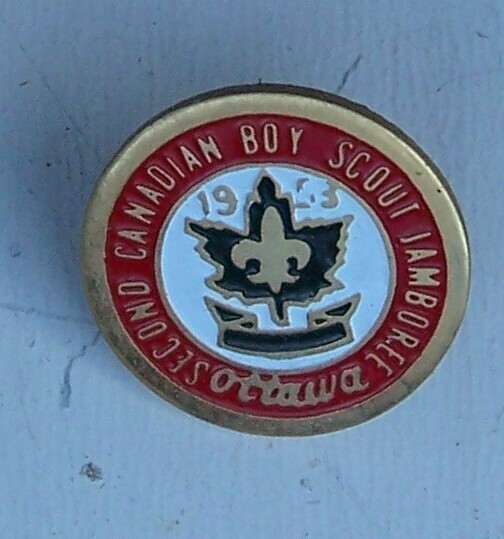 1953 2nd Canadian Boy Scout Jamboree Pin Original Ottawa. 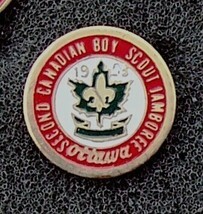 Original 1953 2nd Canadian Boy Scout Jamboree Pin Ottawa. 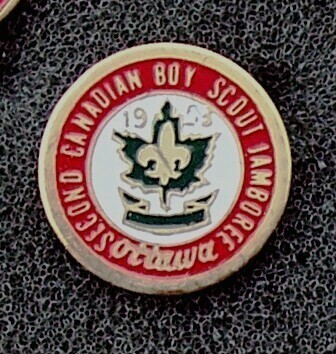 Red Enamel on Gold Toned Metal, with the Maple Leaf Insignia in the center, Round shape. Confirmed these are original pins, by the owner, and have been in his possession for many years. From a retired Boy Scout leader's collection. Size is 1/2 by 1/2 inches approx. 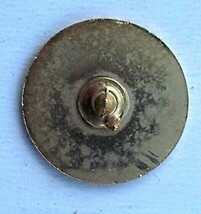 (Height, Width) Unmarked Comes with backing clasp. Condition: Excellent. Original (according to the owner) Shipping: US buyer to prepay sale amount and shipping of approx. 3.50 USD. Canadian buyer your shipping will be approx. 3.50 USD International sales welcome, shipping will be approx. 4.50 USD. Only electronic payment method available at this time is Paypal. For all other payment methods please e-mail. This item is shipped from , so please allow sufficient time for delivery due to cross border customs.